The very, very musical month of May promises to be a good one. One of the highlights is the amount of folk and Americana music playing our fair city, including: The Avett Brothers, Elephant Revival, Tish Hinojosa, Rising Appalachia, and The Milk Carton Kids. Early glimpses of the summer concert season can be seen on the horizon. Mega-star Beyoncé —who had a stunning performance at this year’s Super Bowl—performs at Heinz Field at the end of the month. And major twangers are starting to cross the Mason-Dixon line once again; the Zac Brown Band and Dierks Bentley will each be playing concerts at First Niagara Pavilion. 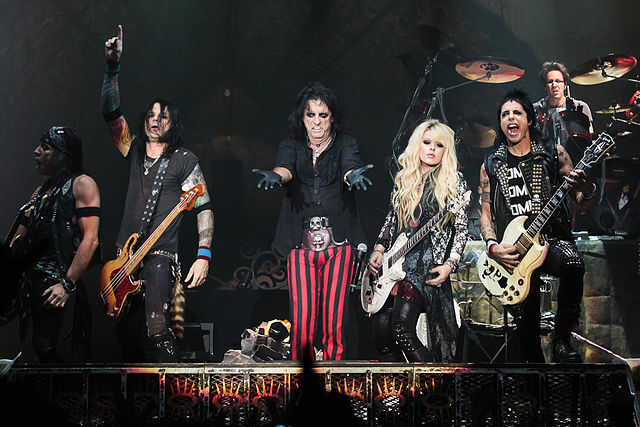 If you’re in the mood for heavy metal, check out the master, Alice Cooper; also in that genre is Five Finger Death Punch. May has a Friday the 13th, which this month is a lucky omen as Cyndi Lauper, Ellie Goulding, and Bentley all perform on that day. On the local front, Joe Grushecky and Billy Price were among those inducted as Pittsburgh Rock ‘N Roll Legends on April 28 at Stage AE. Both men gave moving speeches, thanking many. Grushecky received a video tribute during the ceremony from his friend and sometimes collaborator Bruce Springsteen. He then rocked the concert hall with both the original Houserockers and then the current version of the band. Billy Price did a very nice job of bringing some vibrant blues and soul to the audience as well. Both are playing the ‘Burgh this month. Whatever your musical pleasure is, get out and enjoy some. Attention, mortal weaklings: Be warned that what happens in Vegas may not stay in Vegas. The extremely scary band Five Finger Death Punch, spawned in Las Vegas in 2005, has been known to go out on tour. On rhythm guitar they’ve got the Hungarian assassin, Zoltán Báthory, winner of the Golden Gods 2010 Best Shredder award from Metal Hammer. Five Finger Death Punch as a whole—as an awesomely destructive cosmic black whole, some would say—has itself received numerous accolades, such as Metal Hammer’s Best New Band (2009) and Bandit Rock’s Best International Group (2014). Notable albums range from 2012’s American Capitalist to last year’s Got Your Six.